​Your Neighborhood place to be! Follow us on Facebook or email us for more information. Check out the video below to see one of our great bands! ​or to LIKE and SHARE to your friends! We are excited and very honored to announce that we've been selected as an Affiliate Venue on The Crooked Road: Virginia’s Heritage Music Trail !!!! We are so grateful to the Executive Board for their vote and we are pleased to be a part of such a wonderful organization. They do a fantastic job of promoting the great heritage of traditional music of this region. We will be having a formal presentation by the Crooked Road and will announce those details when they become available. We would like to thank everyone who helped make it possible by their support of our business and music performances. 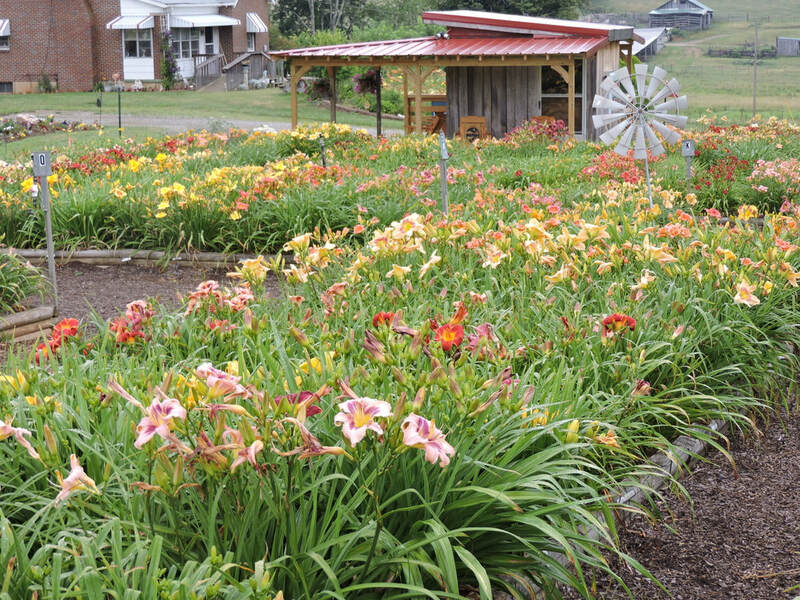 Our gardens, with over 600 varieties of blooming daylilies, have been a landmark in Floyd County since 2000. We have a wide variety of daylilies, including single flowers, doubles in many styles, miniatures, spidery daylilies, and unusual form daylilies. Email us for a catalog or to inquire about certain varieties. If you decide purchase daylilies, we dig your flowers at the time of purchase or we can make other arrangements for shipping. We also have a "Clearance" clump bed. Please ask about our pricing on these! 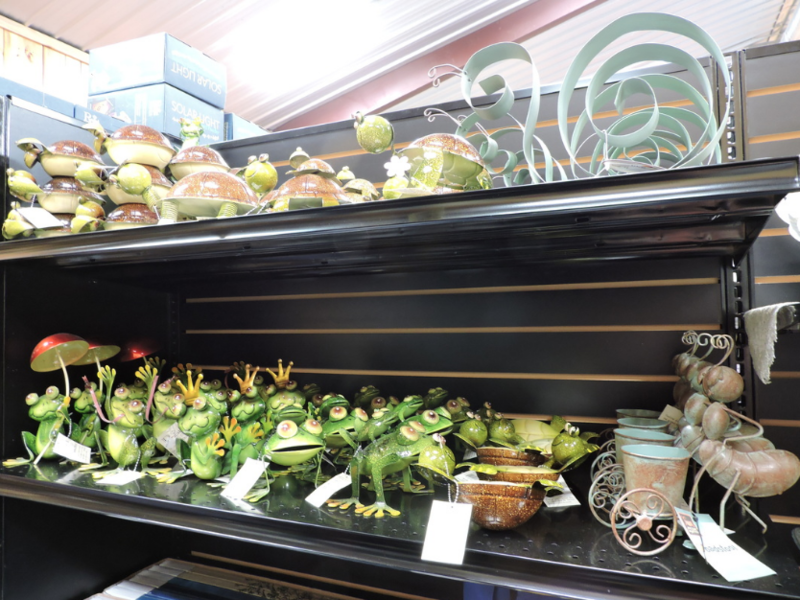 In 2013, we added our General Store, which compliments our daylily selection with a large selection of unique garden décor, home décor. We also have unique gift items as well as a the latest in Fairy Garden items! We recently added "Mama's Pantry" where we sell local produce, bulk beans, produce, country ham, Virginia canned jams & jellies, Virginia grown nuts and gluten free and organic foods. We also built "George's Kitchen" where we have hand dipped ice cream, pizza, sandwiches and more. Check out our menu under the Kitchen tab. We also have regular music events on the stage inside the store and on our patio porch in the warmer weather seasons. 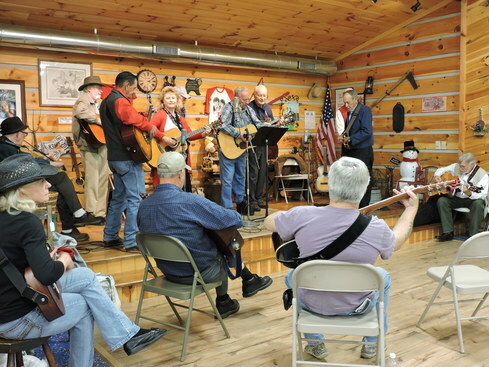 We have live bluegrass music every Saturday night (no cover charge) on our stage from 7-9pm (6-8pm in the winter). Check out our music page for the full schedule! We also host live music jams on the 1st and 3rd Sundays of each month for local musicians to come out and play. During our summer months, we open up our grassy area for cruise-ins on the first & third Sundays of every month. This is Wildwood Farms twentiet season and owners, Bob and Judy Bowman would like to thank every one who has visited the garden located on two acres off 221S in Floyd, VA. As always, they wish to thank their family for all their hard work and help and how much they miss Mama and George and think about them all the time. They know they’d love the store and the music.